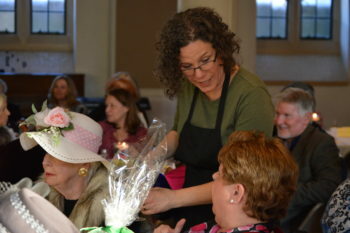 Seabury Academy, the nonprofit-in-residence at St. Paul’s on the Green, invites you to another of its famous afternoon teas. Enjoy a delicious menu of handmade sweets, sandwiches, and savories created in the British tradition. The Tea will take place on Saturday, February 23rd this year, beginning at 4 PM. Your contributions to this event will raise funds for future trips and tours for the St. Paul’s Choristers. Alongside fabulous sweets, treats, tea, and sherry, the afternoon will include a raffle and music provided by the Choristers, and a contest for the best hat worn! Ticket sales are by the table, so feel free to buy one or two for yourself and a friend, or buy a whole table and bring a crowd. Click here to purchase tickets. Please note that the snow date for this event will be May 25th.